Attract new clients and tell potential customers about your business with high-quality, professional business signage. Our team builds durable, impactful, and useful business signage locally at our Alpharetta sign shop. 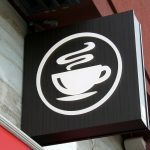 A business sign can be any sign used by any size business to promote their services or products. Alpharetta Sign Company works with clients to produce useful signs like business banners, business yard signs, tradeshow booths, and advertising signage. Our full-service sign shop is able to completely customize the look and feel of your sign, giving you the ability to build a cohesive brand. Call Alpharetta Sign Company at 770-933-2959 today to schedule your Free Consultation with a business sign expert. We create every commercial sign your business needs, from on-site permanent signage to promotional signage for vehicles. 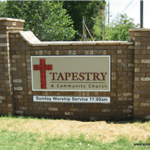 Whatever your needs may be, Alpharetta Sign Company is here with innovative signage solutions. For more information or to schedule a free appointment with a sign expert, call Alpharetta Sign Company today at 770-933-2959. 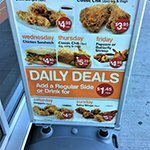 Branded Commercial Signs let your customers know you mean business! 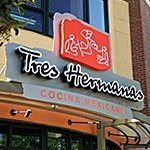 From your storefront building sign to your ADA signs, all of your signage throughout your location should be reflective of your brand. At Alpharetta Sign Company, we create individual signs or cohesive commercial sign packages, allowing you to easily get all of the elements you need to assist your customers and outfit your business. The signage that you use at your location tells a lot about your brand personality and the services or products you provide. Different business types often require different sets of signage. 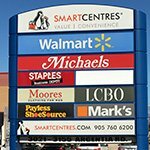 We have a complete selection of outdoor signs and indoor signs and can help you determine which types will work best for your brand and location. If you’re on the go or need to set up at a tradeshow, consider the value of a portable business sign. 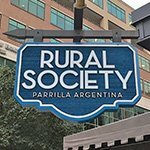 Business signs and banners can be created to travel alongside you, supporting your small business at a farmer’s market or your corporation at a tradeshow. 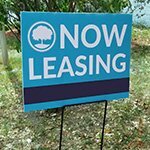 Alpharetta Sign Company offers compact, versatile, and lightweight business signs that will identify your company wherever you go. 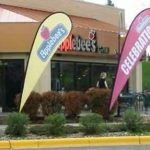 Pop-up banners, custom tablecloths, business yard signs (which can also make useful tabletop signage), flag signs, and a-frame signs are just some of the portable business signs that Alpharetta Sign Company offers. 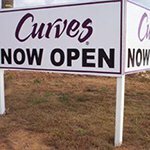 We begin each business sign project with a customized and complimentary consultation. 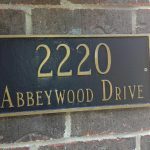 At this meeting, a sign expert from Alpharetta Sign Company will sit down with you to discuss your project. We can also recommend a signage package that perfectly suits your needs. Schedule your free consultation today by calling Alpharetta Sign Company at 770-933-2959. 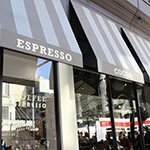 Create visibility for your business with advertising signage. Different businesses need different things from their signs. But almost any business can benefit from well-designed, professional signage that captures the attention of potential clients. 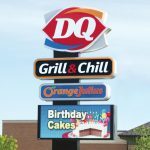 If you are looking to advertise your business, Alpharetta Sign Company has a team of incredible designers ready to customize various types of signs that will boost the visibility of your business. One of our most effective types of business advertising signage is a custom vinyl vehicle wrap. A vehicle wrap can cover all or part of your automobile, and they offer a higher rate of ROI than other more traditional forms of advertising. That’s because a vehicle wrap is completely customizable – any vehicle you choose can be wrapped! And wraps never stop advertising for you. Even if a wrapped vehicle is parked, passersby will still see your ad. 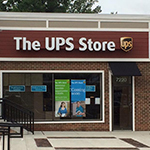 Just like you, Alpharetta Sign Company is a business that relies on signage to be effective. 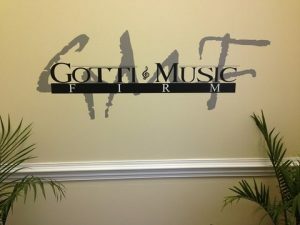 The benefit of great business signage is not lost on the professional team at Alpharetta Sign Company. 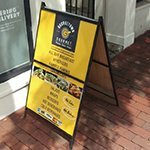 As a local business ourselves, we understand the big impact even a small business sign can have. 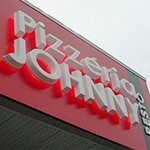 Consider our team a resource for all of your business signage needs. 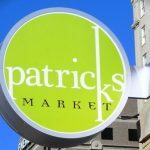 We strive to build an on-going relationship with our business clients, so that each set of signage that you acquire from us all adds to a cohesive brand. We will guide you through the business sign process, offering advice but most importantly – listening to your needs along the way. Communication is key to what we do, and we’ve crafted a clear and prove approach to creating impactful signs for our customers. Every project that we begin starts with an initial consultation. This allows us to find out your short-term and long-term goals for the project, understand what your budget and timeframe is, and answer any questions that you may have. Along the way, our design team will work closely with you to build a well-branded and visually attractive design for your business signage. Alpharetta Sign Company conceptualizes, designs, fabricates, and installs attractive business signs that help you accomplish your growth goals. We are ready to get to work for you!